Having access to good broadband speeds is now up there as one of the deciding factors for prospective homebuyers and tenants in Northern Ireland, according to a new survey commissioned by BT’s NI Networks. The results of the survey revealed that three out of five people said that having fibre broadband in their household was very important, rising to seven out of 10 among 18 to 35-year olds. 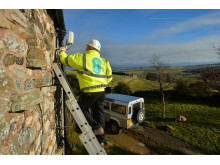 EE trials new 4G antenna solution – providing rural homes with superfast broadband as fast as fibre for the first time. 4G antenna and professional installation service will be available nationwide from 9 February. With 4G coverage in more places than any other operator, EE could help 580,000 UK homes, including 80,000 in Scotland, gain access to high speed connectivity. BT today announced that over 300,000 homes and businesses in Northern Ireland are now connected to its open access fibre network and enjoying the benefits of high speed internet access. BT has announced that 35% of homes and businesses in Northern Ireland are now connected to Superfast broadband and benefitting from download speeds of up to 80 Mbps. Anyone interested in getting fibre broadband can choose from a range of broadband packages from a number of communication service providers who use BT’s open access fibre network. 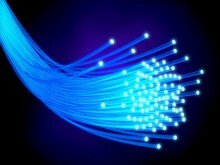 For more information visit www.nibroadband.com.